The Consumer Electronics Show always grabs the attention of tech enthusiasts the world over, and this year is no different. While not everything that is showcased is worth noticing, one can’t deny that some of the most interesting things can be found at the CES. 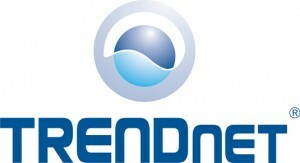 Take TRENDnet’s newest technology dubbed GREENwifiTM for example. It holds the distinction of being the first embedded green wireless technology. GREENwifiTM is part of TRENDnet’s already existing environment-friendly solutions, GREENnetTM. This networking technology is a wired switch-based solution that saves considerably on energy consumption by determining and providing the right amount of power to each connected device. When calculating the amount of electrical power to supply, the technology takes into consideration things such as the length of the Ethernet cable. The new wireless technology is based on the same principles being used in the wired set up, with a few specific differences. The allocated power is significantly reduced in the following cases. Another consideration is the wireless signal strength. For example, if a laptop is very near the router and is receiving a strong signal, the router will reduce its power consumption. Based on tests that TRENDnet has conducted, the whole system can offer up to 50% on savings. This is quite a feat, especially considering the amount of time that the average person spends on the Internet these days.